Designed to embrace the simple, clean lines of its namesake collection, the Vita Nine Drawer Dresser expresses its Danish influences in clean lines, effortless function, and quiet distinction. Crafted in North American hardwood, the dresser features the beauty of the dovetail joint, known for its strength, precision and beauty. 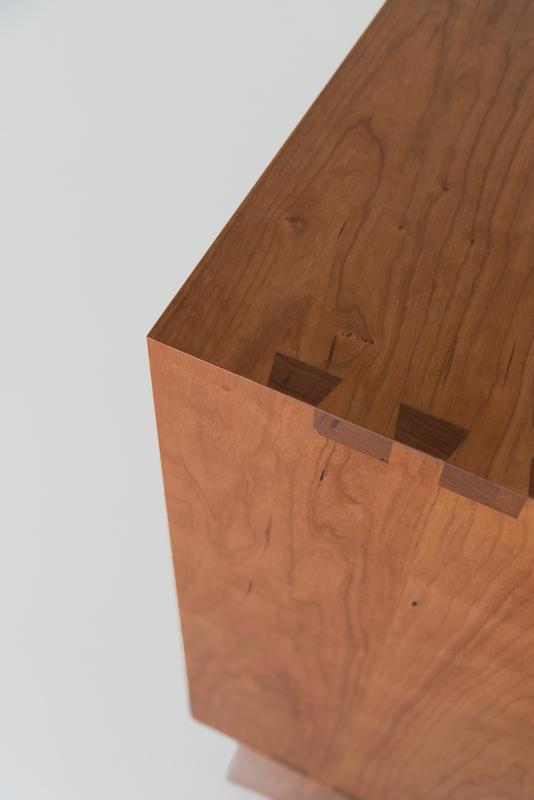 The dresser has nine nesting drawers that work on polished wooden slides, which maximize space through the elimination of mechanical hardware. 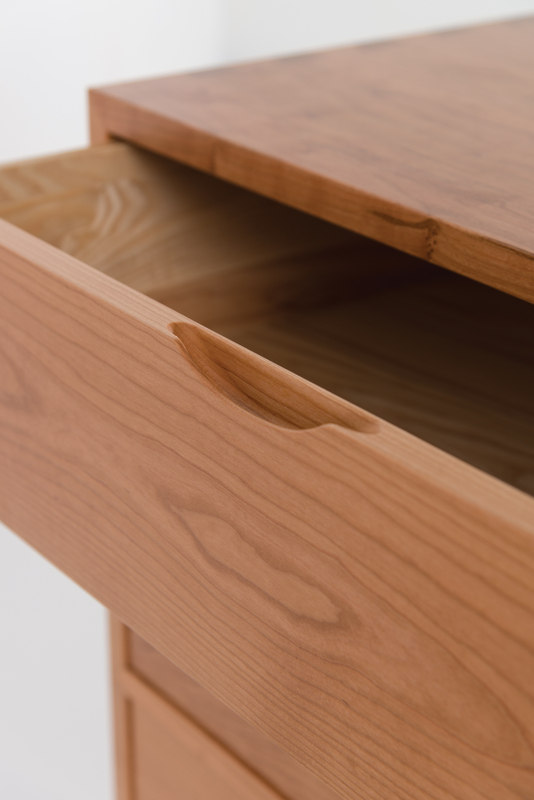 While simple in form, the details of the Vita Nine Drawer Dresser make all the difference. 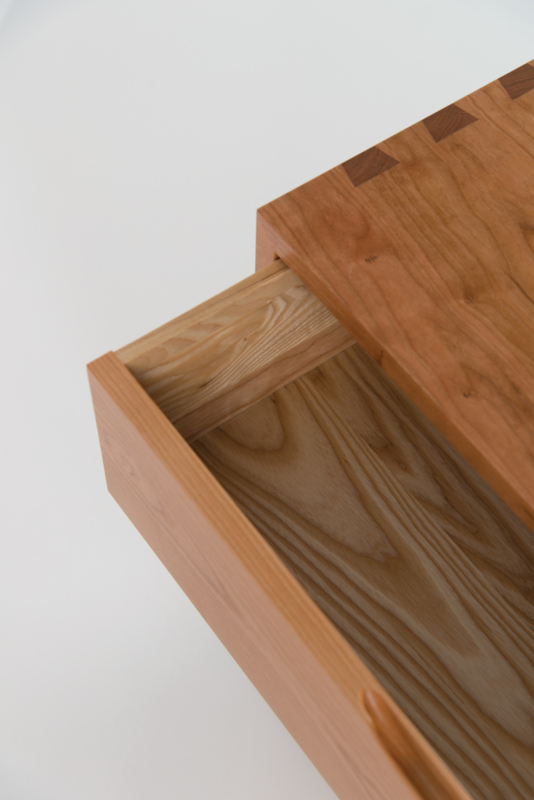 In crafting the dresser, we enhanced its form through thoughtful construction, employing time-tested, mitered dovetail joints to provide uncompromising structural integrity. 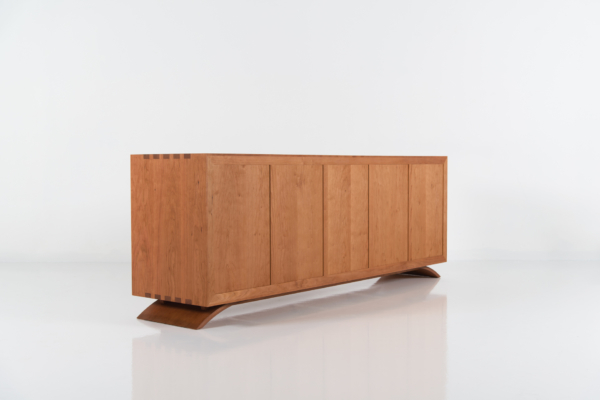 The Vita Nine Drawer Dresser rests atop a signature arc of laminated wood, heat cured to preserve its distinctive shape. 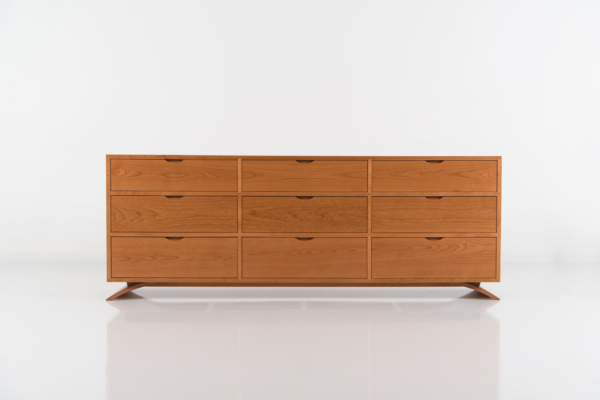 The case of the dresser houses its nine drawers, each featuring an integral handle formed of a simple cut, providing ample space for a hand to grip and pull. 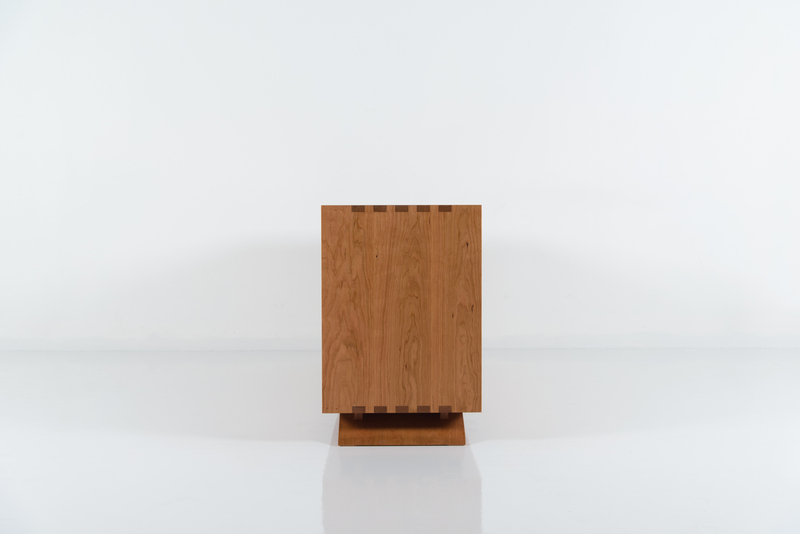 Drawer faces are nearly flush with the front of the case when closed, forming a clean, efficient and purposeful aesthetic. Like all our drawer-equipped case goods, the dresser makes use of polished slides that allow a snug, precise fit. Designed for a lifetime of use, the slides move easily, never hindered by wood fluctuations caused by extremes in temperature and humidity. 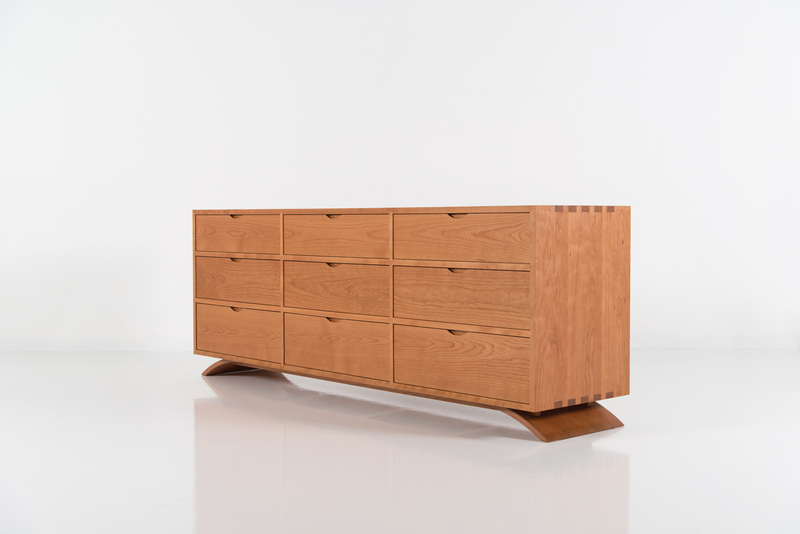 The style of the Vita Nine Drawer Dresser is also available in three- and six-drawer configurations.